Dania Beach is a city in Broward County, Florida, United States. As of the 2010 census, the city’s population was 29,639. It is part of the South Florida metropolitan area, which was home to 5,564,635 people at the 2010 census. Dania Beach is the location of one of the largest jai alai frontons in the United States, The Casino at Dania Beach. It was formerly the location for two amusement centers; one named Boomers! (formerly Grand Prix Race-O-Rama), which housed the Dania Beach Hurricane roller coaster, and the other being Pirate’s World amusement park, which was featured in Barry Mahon‘s Thumbelina. 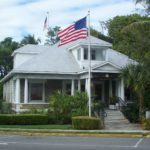 It is also former home to the IGFA Fishing Hall of Fame & Museum. Dania Beach was the first official municipality to be incorporated into Broward County. Starting as a settlement called Modello, it was incorporated in November 1904. Most of the 35 residents were of Danish ancestry, and they changed the name of the town to Dania. On January 4, 1926, Dania voted to become part of its larger and more prosperous neighbor, Hollywood. But after the September 1926 Miami hurricane decimated Hollywood’s fortunes, Dania reincorporated itself into a city. Some areas decided to stay within Hollywood, leading to Dania’s current disjointed city boundaries. On November 1998, Dania formally changed its name to Dania Beach; however Dania is still commonly used to refer to the city. 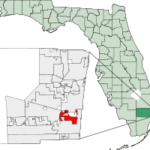 In 2001, the city annexed several unincorporated areas of Broward County increasing the population by about 3,600 people. As of 2000, English as a first language was spoken by 76.85%, while Spanish accounted for 12.38%, French at 4.88%, French Creole at 1.94%, Italian at 1.36%, and Arabic was spoken by 0.80% of the population. The airline Sun Air International has its headquarters in Dania Beach. Carnival Air Lines was headquartered in Dania Beach. Gulfstream International Airlines was formerly headquartered in Dania Beach.